Chatham County Superior Court Judge Carl Fox and Administrative Law Judge Melissa Lassiter both made legal errors in separate decisions on a coal ash case, prolonging the matter into its third year. A three-judge panel of the NC Appeals Court today ruled unanimously that Lassiter improperly dismissed the case, which concerns the disposal of coal ash in former clay mines in Chatham and Lee counties. And Fox improperly reweighed and rewrote Lassiter’s decision without explanation. Appellate Court Judge John Arrowood wrote the decision; Judges Anne Marie Calabria and Valerie Zachary concurred. As a result, the case will be sent back to Chatham Superior Court and the Office of Administrative Hearings — potentially with new evidence to buttress concerned citizens’ objections to the coal ash disposal. The case started in 2015, when citizens groups EnvironmentaLee, Chatham Citizens Against Coal Ash Dump and the Blue Ridge Environmental Defense League contested four state permits allowing coal ash to be disposed in open pit mines in Chatham and Lee counties. DEQ had granted the permits to Charah/Green Meadow, Inc. to use the ash, which originated from Duke Energy’s Sutton and Riverbend plants, as structural fill in formerly excavated areas of the old clay mines, as well as newly excavated regions within the mine property. The groups alleged that the coal ash disposal in the mines would have a “significant and adverse impact on their health and well-being” and that of their families; it allegedly would also harm their property values and the “enjoyment of the property.” The new disposal areas, the groups argued, were tantamount to landfills and should be regulated as such. The EPA seems to agree, although that information was not available when Lassiter originally heard the case. Since then, the Blue Ridge Environmental Defense League obtained EPA emails under the Freedom of Information Act that indicate federal regulators considered the mines as landfills under Coal Combustion Rules. BREDL shared the emails with Policy Watch. DEQ’s mining permit does require groundwater monitoring, but it does not mention an appropriate liner. The former mines are lined in order to receive coal ash, but Livnat wrote, the required bottom liner for the project appeared to have “higher permeability” than we have required for a landfill. In other words, liquid can seep through it more easily. It’s unknown if this evidence would have swayed Administrative Law Judge Lassiter. Nonetheless, in 2015, she ruled in favor of DEQ, which had maintained the permits were properly issued. But instead of granting DEQ’s request for summary judgment, often used when there is no genuine issue of the facts, Lassiter dismissed the case. The appellate court determined today that Lassiter did not have the authority to do so. In 2016, the citizens groups appealed Lassiter’s decision to Chatham Superior Court. In 2017, Judge Carl Fox ruled that DEQ had improperly issued two of the four permits: those allowing disposal in newly excavated areas. 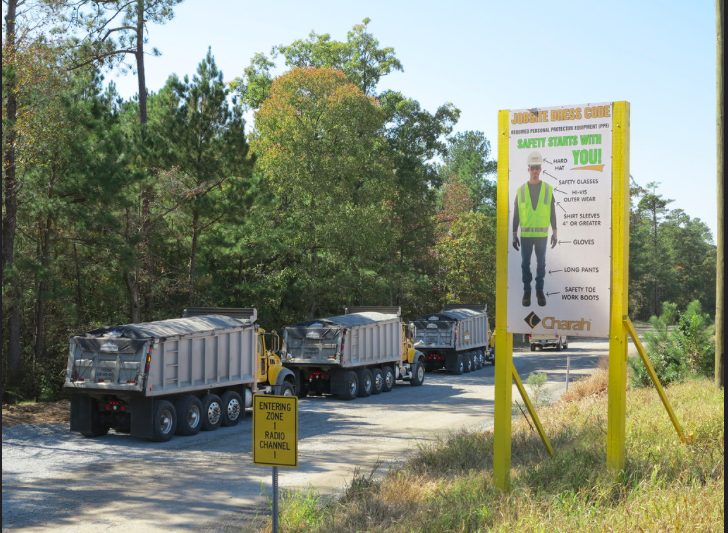 DEQ and Charah took the case to the appellate court, which stayed Fox’s order, allowing the ash to be disposed until the matter was finally decided. The appellate court then heard arguments on the case in January of this year.